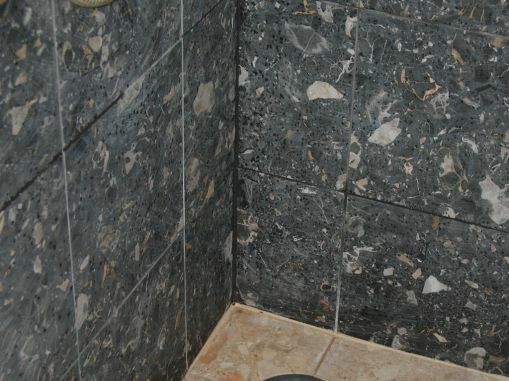 This problem generally occurs on sensitive tiles such as marble or limestone, or sometimes even on basalt or some marble composite tiles. Using the wrong cleaning chemical can make the surface dull, look scratched all over, and possibly fade in colour. It may even go white. 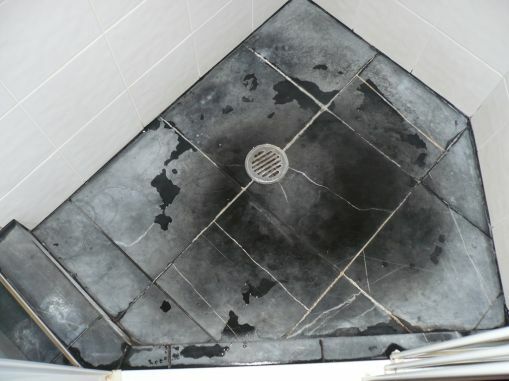 The cleaning marks (circular wiping or mop marks) are often obvious and can be seen across adjacent tiles. How do I know which cleaning products are safe for stone or tiles? 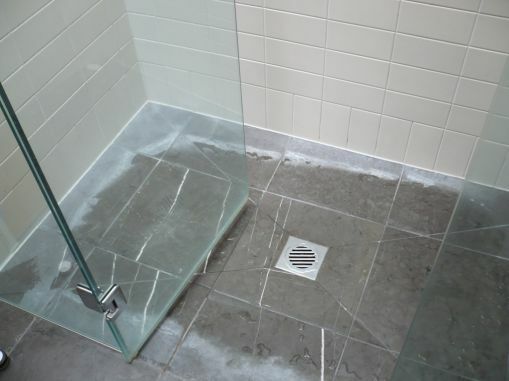 The majority of people – especially cleaners, whether domestic or commercial – use chemicals to clean with, but they often do not understand what the tile is made of and how it should be cleaned, or what products should be use to clean it. If you’ve bought the stone or tile, the retailer should tell you how you should look after it – or refer to our Care Guidelines. Most people don’t read the entire label (including the small print) and so the chemicals they use can sometimes cause damage to a stone or tile surface. This is particularly true for calcium-based stone such as marble and limestone, which is eaten away by any chemical with a high pH level (acidic). Abrasives and even strong alkaline cleaning agents can dull polished surfaces. If a chemical is not suitable for a specific surface, it should say on the bottle – so read the small print. Can damage from using the wrong cleaning chemical be fixed? The solution varies depending on the chemical used, and what surface it was used on. An acidic chemical on polished marble or limestone can often be restored using Gleam Restoration. An abrasive on the same surface will generally cause more damage, and may need Resurfacing. In particularly bad cases, where the fading or whitening is severe, the best option is Resurfacing plus Surface Enhancement to try to restore some colour to the surface. 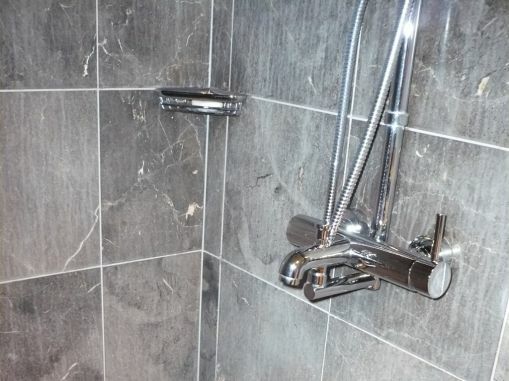 If you have used the wrong cleaning chemical on your stone or tiles, you can book a free Slique Consultation – we’ll come and confirm your problem, and give you a quote for our Technicians to professionally restore the surface to as-new condition.